"Greg Ames has written a beautiful novel. It is infused with dark comedy and pathos and great, hardboiled prose. 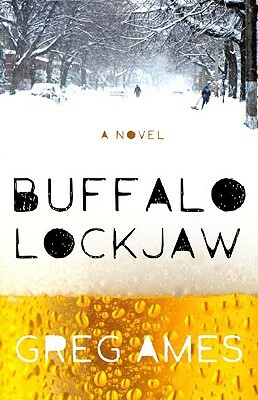 In Buffalo Lockjaw, love of one's parents and love of one's hometown mix powerfully with the mad undertow of loss that seems as inevitable in life as gravity. I'm honored to share a last name -- no relation -- with such a wonderful writer. "—Jonathan Ames, author of Wake Up, Sir!